As expect, Nokia 5700 finally out this late March, which is new Xpressmusic that combine the design from Nokia 5300 and Nokia 3250. It is operate on new symbian, version Symbian OS v9.2, S60 rel. 3.1 that integrate with new interface on Nokia smartphone. it is also equipped with 3G, to get more connection beside music function. It is still with 2 MP camera but more advance that those Nokia 325 and Nokia 5300 since it has flash. It is also has a clear screan when it is has 16 million colour make all pictures and video are really bright in Nokia 5700 scree. To snap a pictures, it is need to twist the bottom of the phone ake me remind the style of Nokia 3250. But camera not a focus on thisphone but the music function that was fully improved than that both Nokia 3250 and Nokia 5300 when it is music payer come with album art like on N91 did. Utilize by Windows media Player, it is also equipped with 5 band equalizer and audio visualiztion. While the Nokia 5700 support 2GB memory card (MicroSD) size, it is easy to save more multimedia and gallery in the phone. The tracks can be save as 1500 song (e-Aac format) make you fully entertained plus 3G connection which is the phone operate on quad-band mode as WCDMA band with high connection speed. The phone that bring Nokia 3250 unique stle which can be twist is really useful. 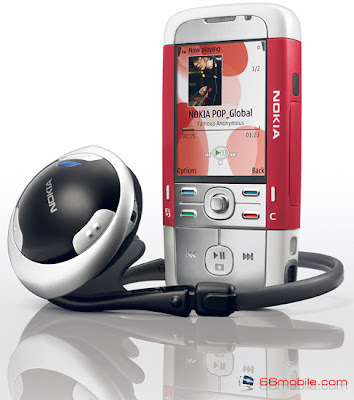 Nokia 5700 can be twist into 4 mode like camera mode, music player mode, normal mode and video calling mode. 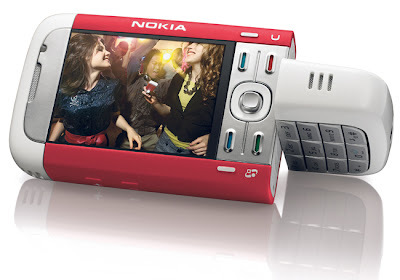 Video calling is one feature that give the phone advantage beside as music phone, inlike those Nokia 5300 and Nokia 3250. 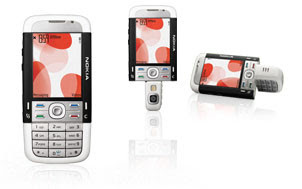 The Nokia 5700 XpressMusic is based on the world's leading S60 software running on Symbian OS in newest version. S60 enables consumers to personalize their device with a wide choice of compatible applications that can be downloaded to the Nokia 5700 XpressMusic, including games, navigation, entertainment & productivity. Actually I more prefer to XpressMusic phone design than any Nokia N siries phone that more to bussiness or office phone. I like Xpressmusic cause of thier design look sporty look and most suitable to youth. Especially the new Nokia 5700 design that cuold be better than those Nokia 3250 when it is more lighter and more small and look comfortable in hand. I think Nokia should keep a good work on thier XpressMusic since it has a good response from users.